It seems things can never, ever get too muddled when it comes to the the world of heavyweight championship boxing – especially not in the eyes of the WBA. Everyone knows Anthony Joshua is the current holder of the WBA heavyweight title, set to defend it as AJ is against his mandatory challenger Alexander Povetkin on September 22 at Wembley. But there are, quite amazingly, four other men who are out to stake their claim to a version of the WBA heavyweight belt. Manuel Charr, holder of the regular version of the belt, is set to face Fres Oquendo in a defence, but this fight, originally scheduled for September 29, is currently in litigation. 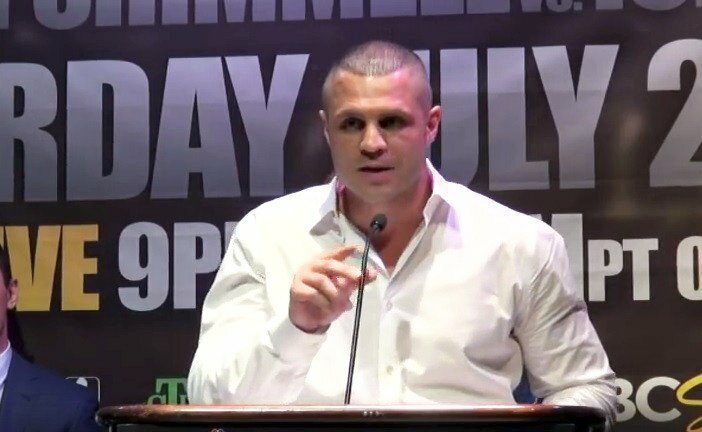 So, in their wisdom, the folks who run the WBA have decided to sanction a fight that will contest the interim version of their “regular” belt: between career cruiserweight now heavyweight BJ Flores and unbeaten but wholly untested heavy Trevor Bryan. So, as crazy as it may well seem, Flores, 34-3-1(21) and best known for cruiserweight title fight losses to Danny Green, Beibut Shumenov and Tony Bellew, could walk away calling himself a heavyweight champion this weekend. Bryan, 19-0(13) and the younger man by over a decade at age 28, might win the fight and the somewhat spurious (if this is a strong enough description) honours that go along with it, though. Bryan is a capable heavyweight, we think, but he simply has not fought anyone of real note – at all. As Dan Rafael of ESPN.com points out, Bryan’s last two foes entered the ring with him whilst sporting records of, get this – 2-20 and an even worse 2-24. And now this guy is one win away from being able to call himself a heavyweight champion! Only in America? How about only in boxing. Flores is a fine fighter and he cannot in any way be blamed for taking this title fight opportunity, and the same could be said of Bryan. But the WBA, an organisation that claims to be interested in doing only good for the sport, cannot in all honesty be proud of the fact that it has sanctioned this fight as any kind of a world title fight, surely? Tickets for the Celebrity Theater’s night of boxing are on sale at www.ironboy.com or at the box office. Tickets are priced at $30, $40, $60 and $100. Doors open at 5 p.m. The Celebrity Theater is located at 440 N. 32nd St. in Phoenix.